Rated 1 out of 5 by CMF1 from Breaks after 1 Year I have owned 2 of these. The first one stopped charging or lost audio unless you moved the wire around. I thought okay maybe it was a bad unit so I bought another one. The second one also lasted 1 year until it started to lose audio or stop charging if the wire was slightly moved. Avoid this product unless you want to buy a new one each year. Rated 1 out of 5 by P Allen from Poor Quality! Do Not Recommend Buying This! Purchased 2 of these, both of them broke within 2 months. 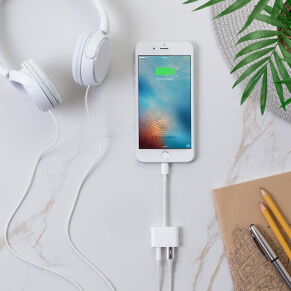 Rated 1 out of 5 by Star from Stopped working after only one month of use I was really happy to be able to charge my iphoneX and listen to music at the same time. 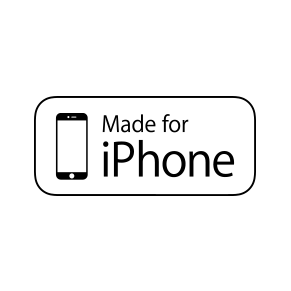 After only one month of use, it stopped recognizing my iphone hense it stopped charging it. I would give it less than one star if I could, just does not work! Rated 1 out of 5 by Isac from Stopped working I bought this like 3 months ago and the audio stopped working. it wouldnt play my music anymore and im so upset with this product. I have a been a belkin fan for a while but this was upsetting. It could just be a bad adapter but oh well who knows. Rated 1 out of 5 by Caitlyn from Dissapointed I bought this product and was really happy with it in the beginning. But then after a month or so after it stopped working. It wouldn’t connect with my phone anymore. It would stop my music or it would fast forward through songs. I wouldn’t have bought it if I knew I would be wasting 30$ on a product that lasted a month or so. Wouldn’t buy again. Rated 1 out of 5 by Merv from Noise I bought this because a cheap one I had didn't work; I was getting electronic noise. This one did the same thing. The noise was not as bad, but it was still there. I guess I need to get a real device with a jack. Rated 1 out of 5 by Del1234 from Poor Product Was averagely working for about a week or two and when I tried to work out with it, it would keep playing my music like my headphones weren’t plugged in. Tried unplugging it and plugging it back in about thirty times and still same result. Save your money and buy from someone else. Rated 1 out of 5 by ebrabs from It was fun while it lasted The item stopped working after 3 months. It disconnects itself constantly when listenning to music or charging. Unplugging and replugging isn't even working. Really disapointing considering the price. Rated 2 out of 5 by row211 from Half-Works I got this for the same reason as everyone else, which was to be able to charge my iPhone and listen to music at the same time. However, after only 3 days of working properly, my phone began to say that the accessory was not supported. The audio proponent of the adapter still worked despite this, but it doesn’t charge. If I wanted to just listen to music I would have gotten a simple Apple dongle. 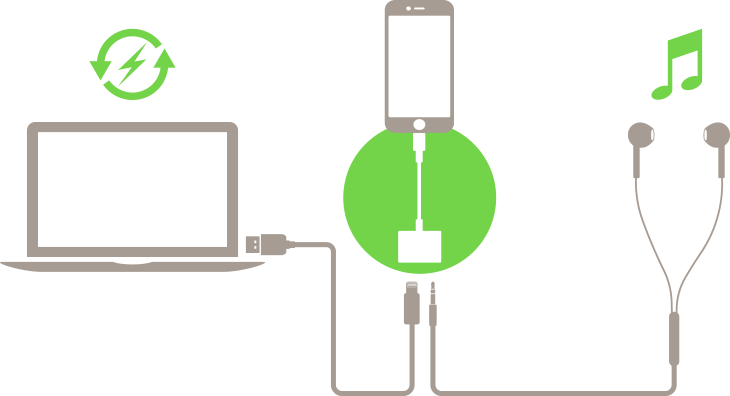 It’s sad to see this doesn’t work, as Belkin is often a reliable name. Rated 1 out of 5 by Jeremy00 from Broke after only one week I bought this device a week and a half ago and it stopped working a few days ago. I payed a lot of money for this thing and it is most definitely not worth it. Rated 1 out of 5 by LH68 from Stopped working after 4 months This worked great for my daughter's phone until it stopped working after 4 months. Waste of $35. Rated 1 out of 5 by Ruth Rose from Dissatisfied I bought this from an AT&T retailer store about a month ago. 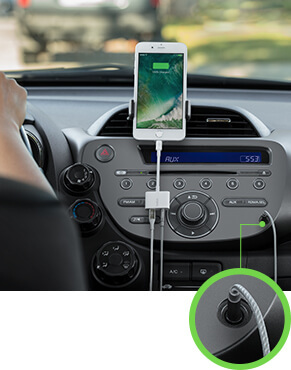 The AUX port will not reliably work. Rated 5 out of 5 by Tree from Nice little add on Worked like a champ. This dongle is tough. My little dog chewed on it and it still works. 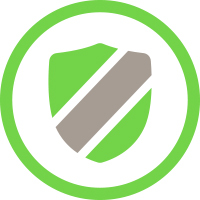 Rated 1 out of 5 by DragonGem from Doesn't work! I bought one of these from Best Buy, and out of the box it didn't work. The charging of my iPhone 8 Plus was intermittent, and the audio jack didn't work at all, just got static out of my car speakers, which work fine otherwise. Seems this is a very common complaint about this product. Rated 2 out of 5 by ThumperMike from Expensive, bulky and short life span Have had this giant adaptor for three months now. For the last couple days it has been sporadically losing audio. Today, that’s all she wrote. No more audio signal will pass through. Thumbs down for such an expensive product. A $3 non MFi adaptor would have given me the same experience. Rated 1 out of 5 by DonnaP from Nothing But Static I just bought this and immediately upon plugging it in I got static. Rated 2 out of 5 by Dangit1 from Fits my need! I use my iPhone 7 in my RAV4 and my Harley. I use the phone for music and GPS, so I want to keep a full charge, just in case. 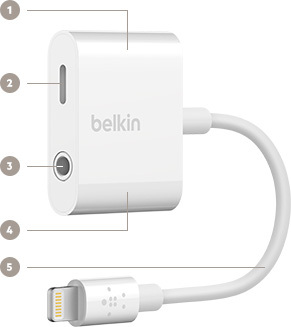 This is my second Belkin adapter. The first one I got almost 6 - 8 months and the second less than 3 months. Both of them are loss of audio issues. 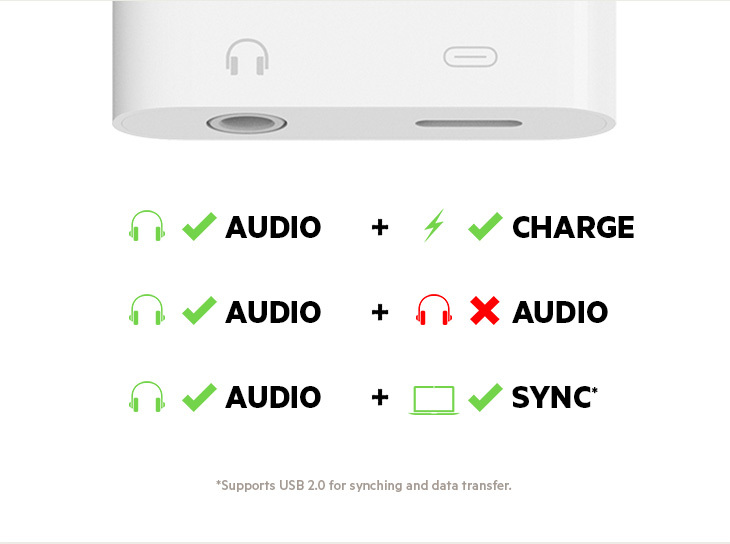 At $35 a pop, probably won't get another one, just have to split time listening or charging. Rated 4 out of 5 by Roberbeto from Mr It works! 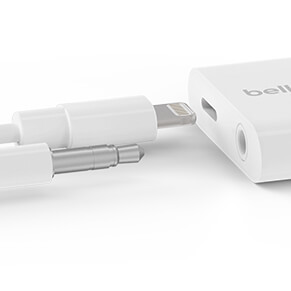 It’s the only adapter that works with the iPhone 7 and up. Rated 2 out of 5 by Lucas84 from It works great for a while, until the cable fails The cable had begun to split apart in several places no more than three months after purchase, exposing the wires inside. 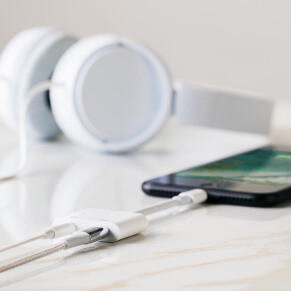 Now, when plugged into my phone, slightly moving the dongle will make the phone think I am disconnecting the headphones entirely. 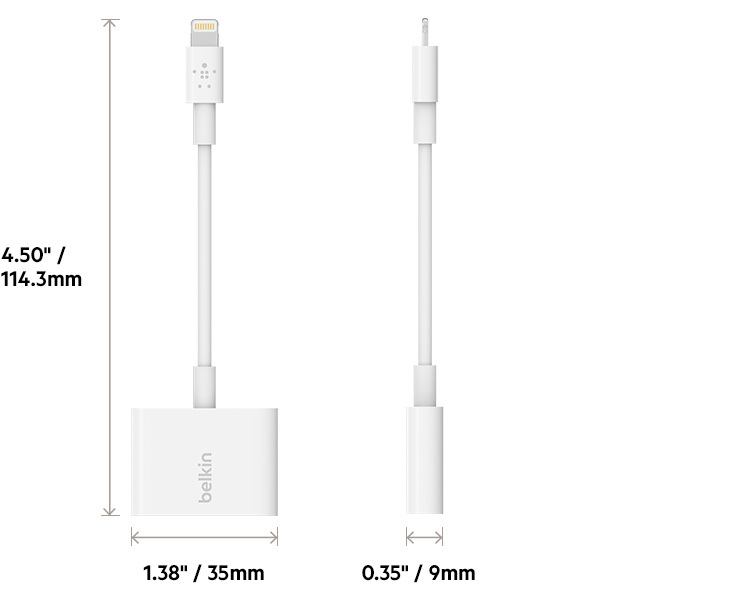 I would expect the product to be much sturdier, possibly even have a braided cable for a price point of $35-$40 that they're charging. Rated 1 out of 5 by abbyp from headphone Every time i move my phone it stops and it’s like it’s not plugged in and it is. don’t waste your money. Rated 1 out of 5 by Disappointed Consumer from Doesn’t last long I bought this almost a month ago and it stopped working. It is a good idea but it would’ve been the best thing If it lasted long. I’ve had it for only 24 days.